URGENT!!! ONE PLACE FOR EVS VOLUNTEER IN SANDANSKI!!! We have one open position for volunteer on short term EVS project in Sandanski, Bulgaria, in duration 26.8- 26.09.2013…If you are interested, for more info contact us immediately on our e-mail: vcs_contact@yahoo.com. 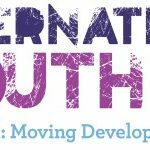 12 August is being celebrating as International Youth Day – and this year is focusing on youth migration. For more information check out following link.